Don’t worry, Waitress can pick up the tab. The production recouped its $12 million investment, becoming the second musical from the 2015-16 season to turn a profit (following Hamilton). The Diane Paulus-helmed musical, featuring a score by Grammy nominee Sara Bareilles and a book by Jessie Nelson, opened officially at the Brooks Atkinson Theatre on April 24, 2016. 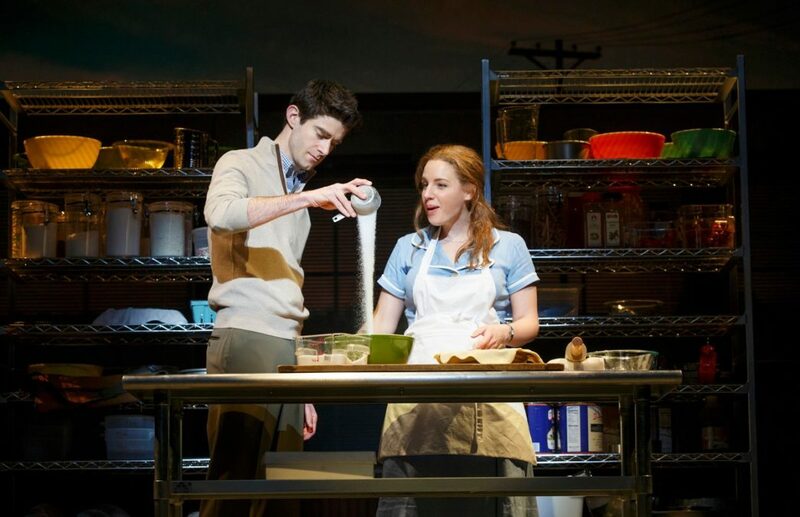 Tony winner Jessie Mueller earned her third Tony nomination for her performance as Jenna, a small-town waitress in an abusive marriage, who channels her hope for escape into her inventive pie-making expertise. In addition to Mueller, the current Broadway cast includes Charity Angel Dawson as Becky, Caitlin Houlahan as Dawn, Tony nominee Christopher Fitzgerald as Ogie, Drew Gehling as Dr. Pomatter, William Popp as Earl, Joe Cassidy as Cal and Dakin Matthews as Joe. The national tour will kick off in Cleveland, Ohio on October 17.